Go ahead and use your smartphone to count your steps, track your speed, and map your route, but please don’t take any calls. Talking on your mobile phone (or worse, texting) during exercise can not only affect the intensity of your workout, but also your enjoyment of it and your risk of bodily harm, according to a pair of studies at Hiram College, in Ohio. The most recent of the studies (published in Computers in Human Behavior) found that texting during exercise can reduce balance and postural stability by 45 percent. The effect of talking on the phone was only slightly less detrimental at 19 percent. Either way, your risk of injury increases. If that isn’t reason enough ignore calls and texts, another study by Rebold suggests two more: Using your smartphone while exercising can sabotage workout intensity and, in the case of texting, enjoyment. Now for the good news: Music has the opposite effect. Listening to music during your workout can help you work out harder for longer without affecting stability or balance, according to Ribold’s studies. It also increases the likelihood that you’ll do it with a smile. When it comes to staying hydrated during exercise, there are two schools of thought: Use thirst as your guide (i.e., drink whenever and however much you want), and drink precisely enough to replace what you lose through sweat. So which protocol works best? According to a study at the University of Arkansas, consuming enough fluids to match sweat loss is the smarter approach. 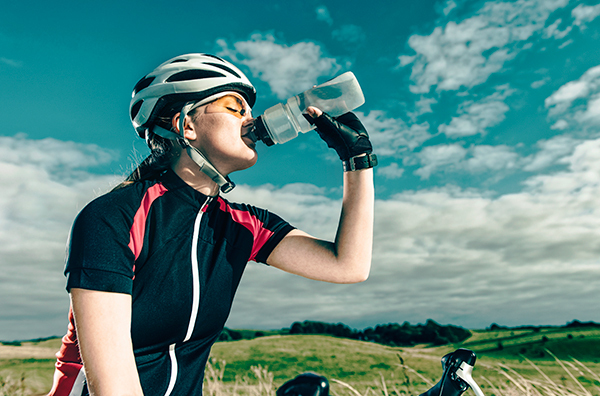 During the study, 10 heat-acclimatized male cyclists hydrated either ad linitum (“at one’s pleasure”) or with prescribed amounts to match individual fluid loss. The researchers found that the latter strategy provided more of a performance boost by allowing the body to more easily maintain core temperature. It also promoted sweating, and thus better heat regulation. Drinking “ad linitum” had the opposite effect. “Our research showed that drinking based on how you feel leads to dehydration and a performance decrement,” says study author Stavros Kavouras, Ph.D.
Our suggestion: Beachbody Performance Hydrate. Not only can it help you maintain optimal hydration, but it can also replace the electrolytes you sweat out, helping to delay fatigue, improve exercise effectiveness, and kickstart recovery. 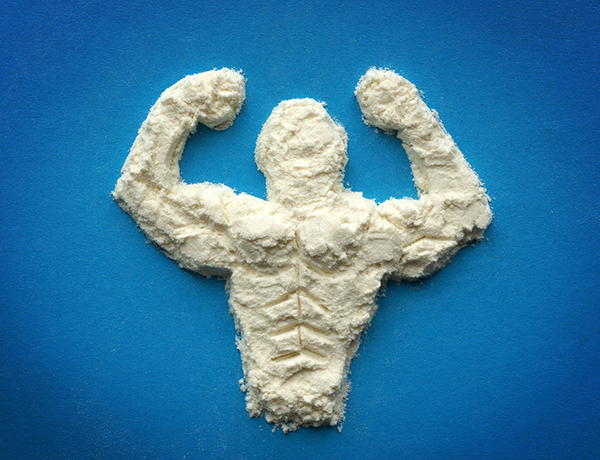 Still on the fence about adding a protein supplement to your fitness plan? Here’s another reason to hop off: Consuming three servings of protein powder per day can help you build significantly more strength, power, and endurance when combined with a comprehensive fitness program, according to researchers at Skidmore College, in New York. In their study, all participants consumed the same number of calories and performed the same training program (known as “RISE” for resistance, interval, stretching, and endurance). But researchers split them into two groups: One group consumed a normal protein intake (.45g/lb of bodyweight per day), and the other consumed a high protein intake (.91g/lb of bodyweight per day), which included three (20g to 30g) servings of a protein supplement. After 12 weeks, those in the high protein group showed the greatest improvements in muscle strength, aerobic power, cardiovascular health, and flexibility. These results reinforce those of previous studies showing that combining increased protein intake with RISE (i.e., following a “PRISE” protocol) can help accelerate fat loss, boost lean mass development, and improve metabolic and heart health. You can increase your daily protein intake by adding Shakeology, Beachbody Performance Recover, or Beachbody Performance Recharge to your daily eating plan. All three deliver beneficial amounts of protein (as well as key phytonutrients) to help support lean muscle and optimize recovery. Coaches often have athletes perform positive visualization (e.g., imagining themselves competing with ease, out-performing rivals, achieving a new PR) to sharpen their focus and enhance performance. But two studies from the University of Arizona suggest an even more effective way to get your mind in the game: Think about death—specifically, your own. Here’s why it works (according to “terror management theory”): Ruminating on your own mortality is both scary and depressing. To help you feel better about it—or at least not fear it as much—your subconscious looks for ways to boost your self-esteem. If you’re an athlete, performing well and winning are both excellent options, so they are what your subconscious focuses on. In so doing, it also makes them more likely to happen—a lot more likely. In the studies, which enlisted 31 male basketball players, the athletes who thought about death before stepping on the court performed 30 to 40 percent better than those who entertained less macabre thoughts. The study authors suggest that the effect isn’t limited to a specific sport, and “terror management” likely works equally well for both genders. But there is a caveat: You have to care about performing well. 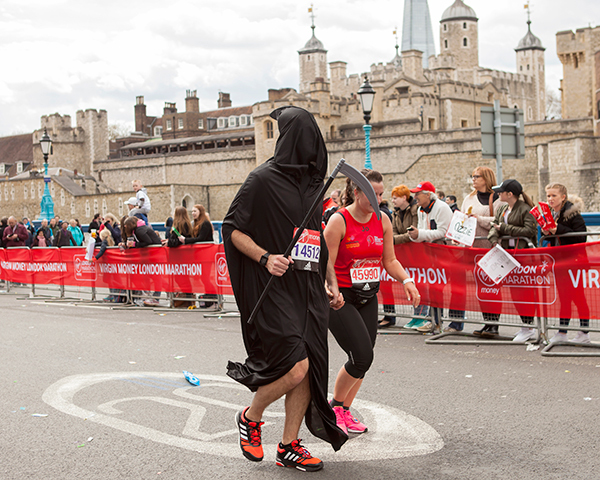 If you’re not competitive in nature, or if your interest in a sport is purely fitness-oriented, thoughts of death won’t be nearly as motivating, according to the researchers.